Do you know a Harold? Harold is an observant and active high school senior. 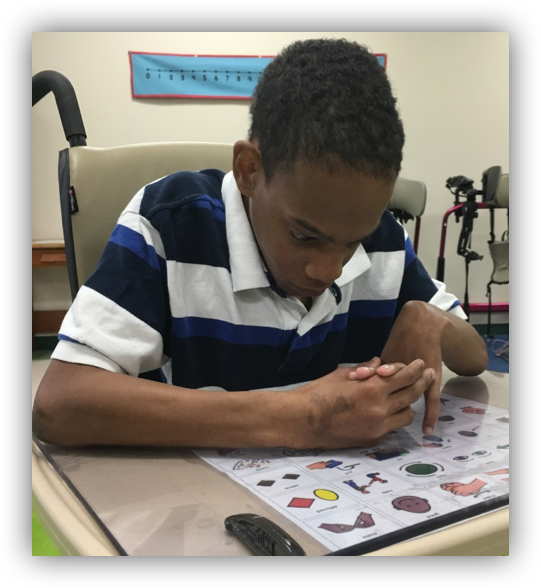 It is quite common to wander into Harold’s classroom and see him expressing his desire to be on the go as he physically wheels himself in the direction of the door with a look of determination. As Harold’s communication abilities have developed, he is often on the lookout for friends he can recruit to help him go. Some early ways Harold communicated this with clear intention included taking a partner’s hand and placing it on the back of his wheelchair and then looking at the door. During meaningful interactions like this, partners attributed meaning to these actions and modeled more conventional ways to express the same thing. Partners would say things like “you can tell me go” while holding their point on the symbol for go and repeating the spoken word go. Partners did not require Harold to use these conventional forms, they simply took advantage of these interactions as opportunities to teach. After countless models, Harold has now started using the spoken word go. These same teaching principles are being applied throughout his school day, from lunchtime to shared reading interactions to adapted PE. 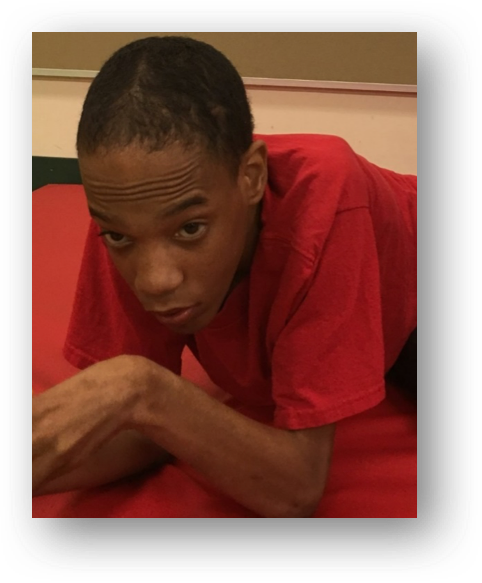 His teachers pay close attention to the many ways Harold expresses himself through movement, facial expressions and vocalizations, attribute meaning to these behaviors, and model more conventional symbolic forms using the Universal Core vocabulary. Harold’s repertoire of ways to express himself and his use of symbolic forms of communication continue to expand.